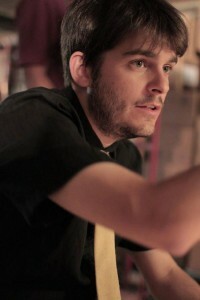 Rémi Fréchette graduated from Concordia University in Film Production. With 90 short films to his name, for the most part produced in conjunction with the Kino film community, many of his films including “L’Émetteur Russ” and “The Last Day of Harold Fishman” have had an honorable share of festival tours. In 2012, he produces with Nemesis Film “Les Jaunes”, a fantastic horror-comedic webseries, his first ever major project, co-written and directed by him, comprising approximately 60 actors, close to 70 technicians and shot in 13 different cities in Quebec. 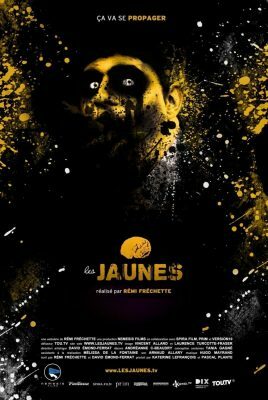 Les Jaunes will premiere in 2013, counting 4 years of work and costing $60,000, all self-financed. The series was reedit as a feature film, and is now travelling around the globe, with a stop at the BIFFF 2015!